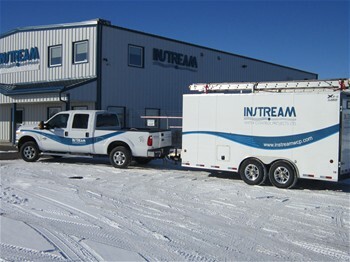 Instream is based in the Province of Alberta, and was founded in June of 2005. Our home is based in and among the Irrigation Capital of Canada “Lethbridge Alberta”. Our extensive experience in the designing, manufacturing and marketing of water control products as well as nearly 25 years of water control product installation in both new and existing concrete structures allows Instream to provide our customers with excellent service in all areas. Our goal is to be your first choice, whether you are in the initial decision making stage, or the purchasing / final product installation stage for your water control project. We will provide you with all necessary technical information (budget costing, sample drawings and specifications) so as to aid you in your selection process to obtain the correct and most economical product for your application. Many years of experience working with Engineers, Gov’t Agencies, Contractors, Irrigation Districts and all end users has given us an excellent understanding of the needs and wants in the field of water control. We are associated with only manufacturing companies that have a long history of providing quality and overly reliable Products. With these Water Control Products and our experience we guarantee satisfaction.